I said a BOOM BOOM BOOM, can you hear me say kale…KALE! 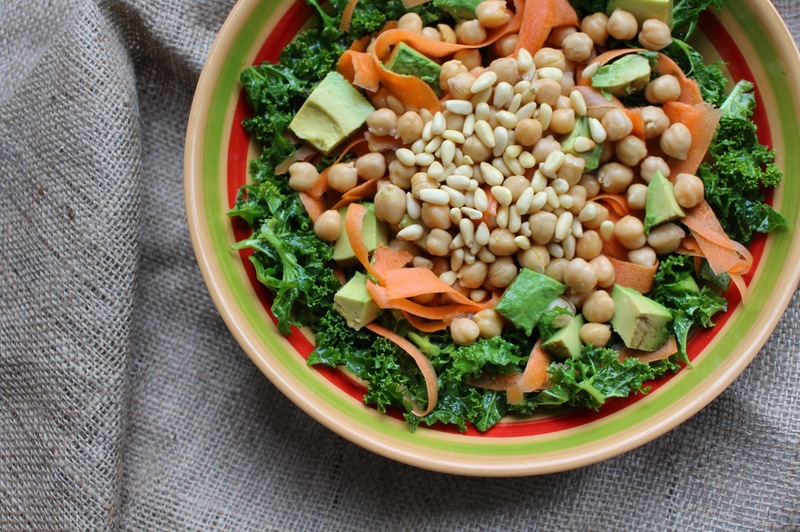 We’re SO excited to share the yummiest, scrummiest, tastiest marinated kale salad. We literally want to eat it every single day. Kale is well touted as a superfood, but it’s not always the easiest thing to eat. It can have a bit of a bitter taste on its own, but with the help of a sprinkling of ingredients it tastes divine and it is oh so good for you. In nutritional terms, it’s a winner. It lowers bad cholesterol, decreases cancer risk, detoxes the body and is full of antioxidants. It’s low GI and one cup provides a whopping 1180% of your vitamin K RDA, as well as 98% of vitamin A, and 71% of vitamin C. Plus a bunch of other vitamins and minerals. 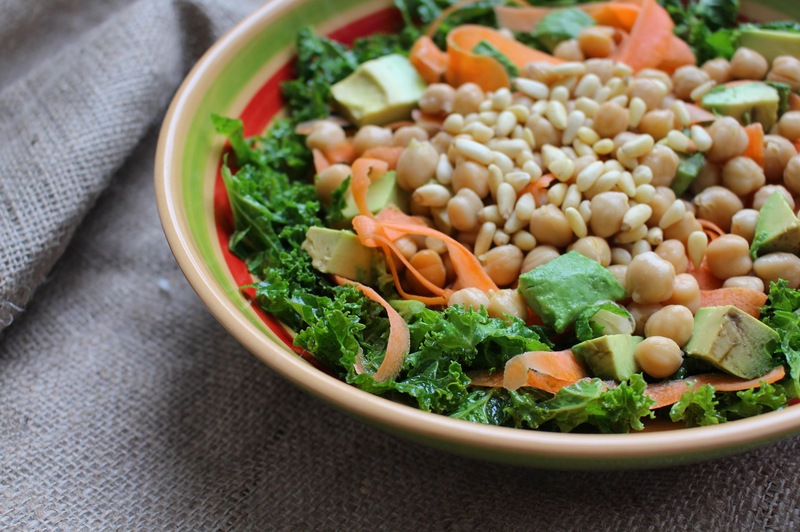 ALL HAIL KALE – KING OF THE SUPERFOODS! First things first, you need to prepare the kale. Wash, dry and remove any big stalks, before tearing it up into small bits (this will help it marinate better). Put into a big bowl and add the salt, cumin and sesame oil, massaging it into the kale for a couple of minutes. Then, add in the carrots, avocado and chickpeas and sprinkle the pine nuts on the top. Et, voila! So delicious and super simple ! ANOTHER great thing about this recipe right here is that by adding the other ingredients you’re also getting heaps of good fats and protein, as well as a bunch more vitamins and minerals. We hope you like it!